Update: Gov. Haslam signed the bill into law on March 22, according to state records online.-Ed. GOVERNOR Bill Haslam may soon decide whether or not to sign into law a measure that is intended, among other things, to "promote and facilitate" use of distributed ledger blockchain technology and "smart contracts" applications in Tennessee. The General Assembly's House and Senate members unanimously passed legislation (HB 1507-SB 1662) and sent it to the Governor for his consideration. The bipartisan legislation was put forward by State Sen. Steve Dickerson M.D. (R-20, Davidson) and State Rep. Jason Powell (D-53, Davidson), and ultimately passed in each chamber without opposition. "The governor's position on this bill was to defer to the will of the legislature as the bill was amended. He reviews all bills that come to his desk in their final form, regardless of his position, and then decides whether to sign, not sign, or veto. He has 10 business days from when the bill lands on his desk," Jennifer Donnals, press secretary to Gov. Haslam, told Venture Nashville today. Tennessee legislative records online indicate the smart-contracts matter was submitted to Gov. Haslam on March 13, which, if accurate, would mean the gubernatorial clock runs out this week. Enactment of the legislation would revise the Tennessee Code's Title 47 Commercial Instruments and Transactions, and its Chapter 10 Universal Electronic Transactions. A governor 'deferring to the will' does not limit the governor's range of freedom, but is generally interpreted as an ad hoc signal that the chief executive has no plans to use their veto on specific legislation that garners strong support among legislators. Gov. 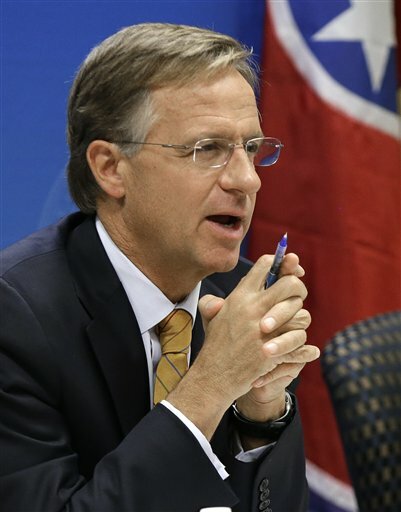 Haslam took the deferral approach, for example, with respect to 2017 legislation designed to ensure use of "natural and ordinary meaning" in interpreting terms of state laws. Enactment of the "smart contracts" measure could be viewed as the first legislative success of the recently formed Tennessee Blockchain Alliance, a 501c6 trade association, which was the prime mover on the legislation. 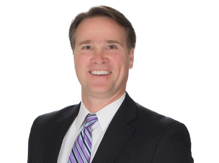 Formation and mobilization of the Alliance has been largely spearheaded by John Wagster, who is an attorney in the Nashville office of Frost Brown Todd. However, in previous conversations and in his public presentations, Wagster has often said that the subject legislation would not only signal that Tennessee is a hospitable environment for smart contracts, but could also set the stage for further innovation initiatives, possibly including, for example, the notion of creation of a "sandbox" or accelerator for development of blockchain-related businesses. Wagster said that amending state law will correctly be seen as a more substantial step than, say, passing a resolution memorializing the state's awareness of the importance of the sector. In pressing for legislation generally, the Wagster-led Tennessee Blockchain Alliance says on its website that distributed ledger blockchain interest and adoption has "grown too fast for state legislatures to keep up." "In the resulting vacuum of uncertainty," the Blockchain Alliance site continues, "blockchain businesses are waiting for governments to recognize their needs, address their concerns, and invite them to succeed." Legislative Aid Rhett Pratt in the office of Sen. Dickerson today told VNC that constituents expressing support for the legislation have, in addition to the Alliance, included Change Healthcare, Hashed Health and the Nashville Technology Council. Pratt also said that the Chamber of Digital Commerce had provided a document supporting education of legislators about distributed ledger and related matters. A copy of that Chamber document is here. The Washington, D.C.-based Chamber of Digital Commerce's Founder and President Perianne Boring has, indeed, encouraged proactivity on both federal and state policy and regulatory fronts on a range of issues. And, the Chamber has both a working group and a "Smart Contracts Alliance" that get involved with state governments that are fashioning related legislation. However, Boring and her Chamber have also bluntly cautioned that creating new state laws could serve to balkanize the policy domain, adding that "Existing legal frameworks for defining and giving legal effect to contracts cover smart contract technology. Additional laws are largely unnecessary and will only serve to confuse the application of current law." 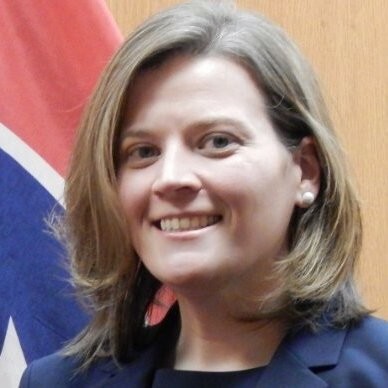 Per routine, a fiscal note on Tennessee's "smart contracts" legislation was rendered by Krista Lee, executive director of the Tennessee General Assembly's Fiscal Review Committee. Amended Fiscal Note here. 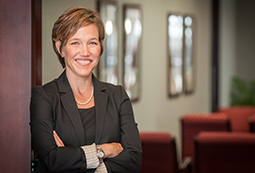 She wrote that the legislature's deliberations about the legislation now before the Governor have been based upon assumptions, including the proposition that the legislation "will ensure that business, commercial and governmental transactions conducted through or supported by distributed ledger technology and containing smart contract terms will be enforceable in Tennessee." Lee's fiscal note also said that assumptions invoked by proponents of the legislation have included expectation of zero fiscal impact on the operations of the Department of Financial Institutions; and, insignificant impact, if any, upon state or local government. Lee's report also mentioned that her committee's analysis rests partly on the assumption that passage of the law could "ensure" the enforceability of business, commercial or governmental transactions conducted through or supported by distributed ledgers containing smart contracts. Among other potential benefits of legislation, adherence of the measure believe that the State's recognition of DLT and smart contracts as enforceable electronic transactions "will provide clarity to companies interested in developing or utilizing this technology, and may ultimately impact commerce in this state." The exact impact of the legislation on the state's commerce or employment results "cannot be quantified with reasonable certainty," Lee added in her note. 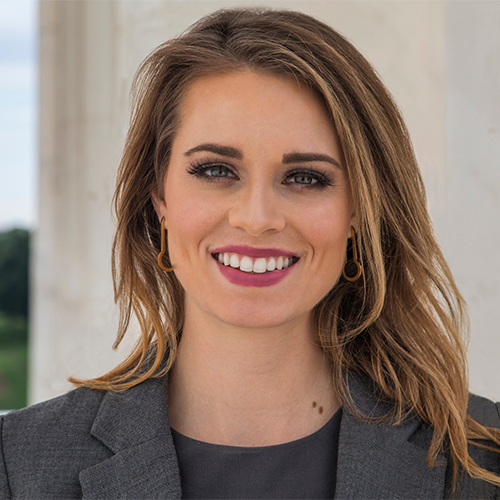 Waller Lansden attorney Kristen Johns, who leads her firm's blockchain-cryptocurrency team, said when asked by VNC for her views of the legislation: "I think it's completely benign legislation." Asked about other ideas that Tennesseans might be well-advised to examine, Johns said, "There might be value in at least reviewing virtual currency legislation passed by the ULC, which has been introduced in Hawaii, Nebraska, Connecticut in the past two months and has the support of Coin Center, a leading non-profit focused on cryptocurrency policy." Johns noted that attorney Charlie Trost, partner at Waller, is a Member of the ULC Committee. A fact sheet on the virtual currency legislation appears here. "I think the proposed bill is much ado about nothing. From a contracts law standpoint, in my opinion, Tennessee law already allowed for this, so the smart contract bill just clarifies existing law. That said, it's nice that we are on the progressive side of this issue, and the new law is not likely to do any harm." Asked by VNC whether the legislation might heighten Tennessee's reputation as a venue for companies' fund-raising using Initial Coin Offerings (ICOs) or token offerings, Sloan said, without commenting on the relative merits of such tactics, "This legislation will have zero impact on ICOs from a legal standpoint." He added, "It makes Tennessee appear more 'blockchain-friendly', but that's about the only way I could see this legislation influencing more ICOs here." Within Tennessee, Nashville, in particular, has in recent years become a hub of blockchain-driven activity and innovation, propelled largely by the Nashville-based advocates mentioned earlier in this story, as well as by the presence of BTC Inc.